Ba Provincial Freebird Institute retained the Fiji Secondary Schools Rugby League Under-19 Colin Love Vodafone Bati Trophy at Garvey Park in Tavua yesterday. Ba Provincial walked away $2000 richer while losing finalist Nasinu Secondary settled for $1000. What happened: Ba Provincial winger Kelemedi Karacake kicked 11 points in the 19-8 win. The Lautoka-based school has been the lone school from West Division to win the final for two consecutive years. Nasinu started well when winger Jeke Naqelevuki ran half the field to score the first try for their 4-0 lead. Ba Provincial replied 10 minutes later through Karacake who kicked the first penalty for 4-2. In the 21st minute, Apimeleki Lutumawi scored for Ba Pro to lead 6-4 for the first time. In the 29th minute Onisimo Sina increased Ba Pro’s lead to 10-4 with his try. Half-time Ba Pro 6 – 4 Nasinu. Karacake, during the second spell, tallied nine points to himself after slotting in four penalties and a field goal. Nasinu winger Tevita Railevu ran in their final try of the match, but it was not enough to reclaim the title they lost to the opposition last year. Big play: Inoke Tavai broke defence and gained a lot of grounds for Ba Pro. Big star: Kelemedi Karacake was the toast for the day with his accurate kicking and defence breaking runs. 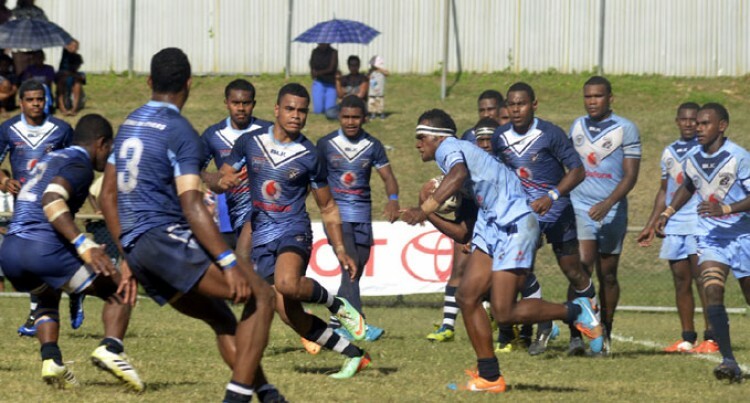 Meanwhile, in other FSSRL Vodafone Trophy finals: Ratu Navula College retained the U15 title beating Natabua High 10-4, while Natabua High beat Ba Provincial 26 -6 to claim the U17 grade.